The waltz is one of the most classic dance styles. Its origins date back to the 19th century in England. At the time, the waltz was scandalous, because it required men and women to hold each other closely while they danced, which was frowned upon in proper English society. To compare this to something more modern, think of the “scandalous” dirty dancing done in the movie of the same name – back in the early 1960s, this type of dancing was a problem. However, these days the waltz is revered as a ballroom classic, and has evolved over time into several distinct styles, all of which share the original dance’s three-quarter time, three beat measures. Country, or folk waltz, moves at a faster tempo than the other styles. The music still has the same time signatures and beat measures, but it moves much faster. This style of waltz features several different types of steps within one song, including the side by side maneuvers that are more commonly seen in country-western line dancing. Ballroom waltz is what most people think of when they hear the word “waltz.” The music is slower than that used for the country waltz, but the steps are very similar, with the exception of the side-by-side components. The ballroom waltz can be broken down into American and International styles. Beginners are usually taught the ballroom waltz before any of the other varieties. American waltz is a type of ballroom waltz. It is done to the same styles of music, and usually consists of six total steps that are repeated over the course of the song. The main difference between the American and International styles of waltz lies in the fact that the American style has dancers moving right-left-right. 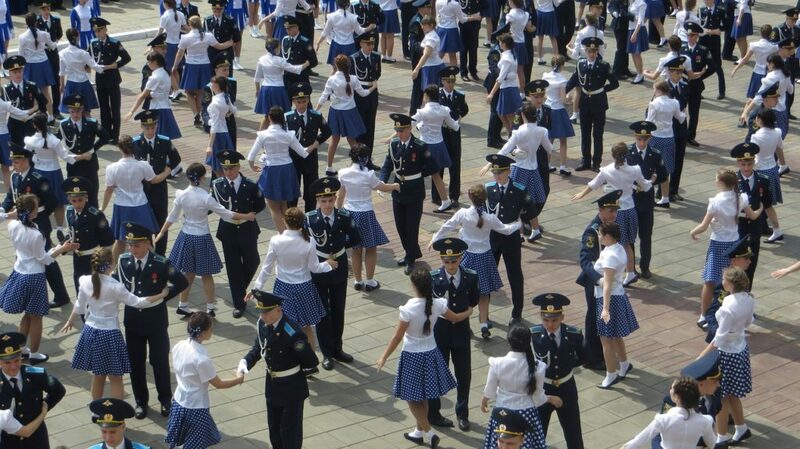 The International style waltz is very similar to the American style. It uses the same six steps and combinations. However, unlike the American style, the steps go left-right-left. Viennese waltz is the original style that was practiced in Europe. This is one of the more complicated types of the dance, as it requires the dancer to move very quickly and incorporates a number of very fast turns. Because of this, the Viennese waltz is best left to more advanced dancers. Ready to learn one – or more – of these styles? Contact Elite Dance Studio today!